For many of us, the word narcissism is a joke. We say, "I'm such a narcissist!" with a slight chuckle as we update our Facebook feed with the 15th post since 7:00 a.m. However, it's not such a joke for some people. Narcissists live all around us...they might be the charming Casanova at work, the flirty barista at the local cafe, or even your own boyfriend or girlfriend. However, sometimes they might not be as wonderful and captivating behind closed doors as we'd like to think. 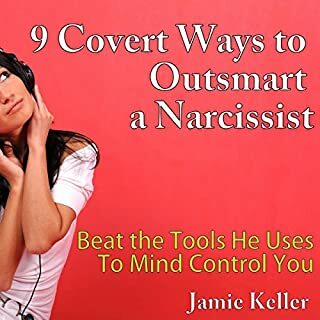 Narcissists are all around us; they are our brothers, sisters, parents, relatives, friends, bosses, colleagues, and other people around us, but what's just annoying is the fact that they are too narrow-minded to think of anything else besides themselves. Do you have a narcissist in your life? Are you tired of his or her skewed way of thinking that makes you want to go as far away from them as possible? Are you looking for information on how to deal with them? Well, this book will teach you how to do just that. 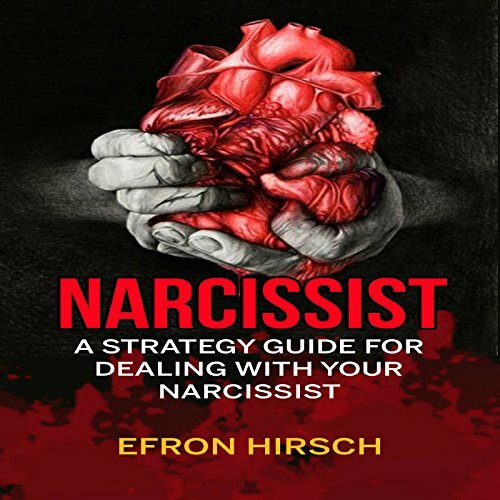 After listening to this book, you will get to understand how to identify a narcissist, different types of narcissists, how narcissists affect people in different situations, as well as how to deal with a narcissist. This book is great at explaining the definition of narcissist. It is a good guide for any honest person making friends throughout life and knowing which ones to avoid. Very detailed! I wish I read this book before. I seem to attract narcissists for some reason. Not sure what is about me, but all of my relationships seem to be with narcissists. This book is a god-send, as it lays things out very clearly and has helped me immensely. The moment I realized my boss was a narcissist I picked this up. It opened my eyes to all the people I know who are narcissists that I've misjudged. It's shocking to me but I am now informed and now I can understand where they are coming from. This is really good than what I have expected. 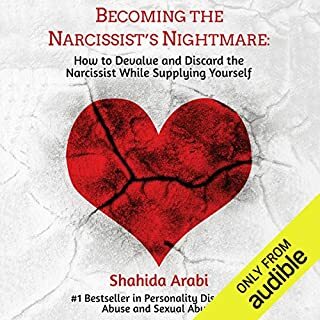 I didn't get this book at first due to the scary cover, that was a big mistake as I found this book to be the best book on Narcissists that I have ever read. It lays things out clearly, much better than the other books out there. I've read a lot of books about narcissists, and they're all really long and filled with fluff. I like that this one has no fluff! This book helped me to see one of the core motivations of narcissism, "shame", and how the response to "shame" lies on a continuum. By identifying various kinds of narcissists I can know how to cope in appropriate ways to others and practice self-examination of my motivations. 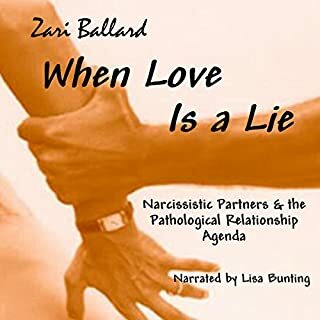 I didn't know what a narcissist was, and then realized my partner was one, so I listened to this audio book and it described him exactly! I feel I understand our relationship much better now, and what i should be doing. Although this book doesn't go so in-depth on things, I found it to be effective for dealing with my relationship. 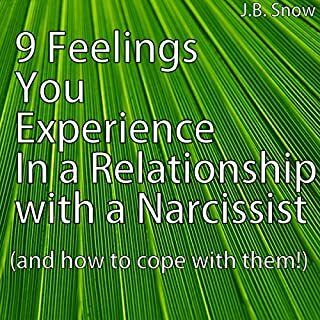 If you know a narcissist, then this book will give you the tools you need to deal with them. I have a boss with NPD and it worked quite well for me. I've always been fascinated with narcissists. What caused me to pick up this book was that my boss at work is the most uncaring fellow, and I've always pegged him as a narcissist. 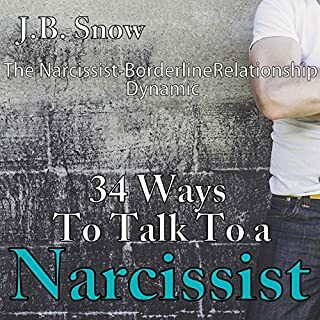 After reading this book, I have now confirmed that he is a narcissist, because his behaviors and attitude very closely match what this book describes. This book really helped me to develop a strategy for dealing with him and predicting his moves. Also, this book opened my eyes to all the people in my past who were narcissists that I had never actually realized were narcissists. 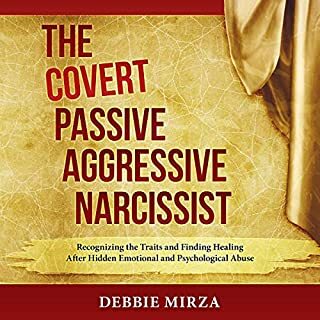 A really eye opening book with good strategies for dealing with narcissists, just like the cover says. Superb!